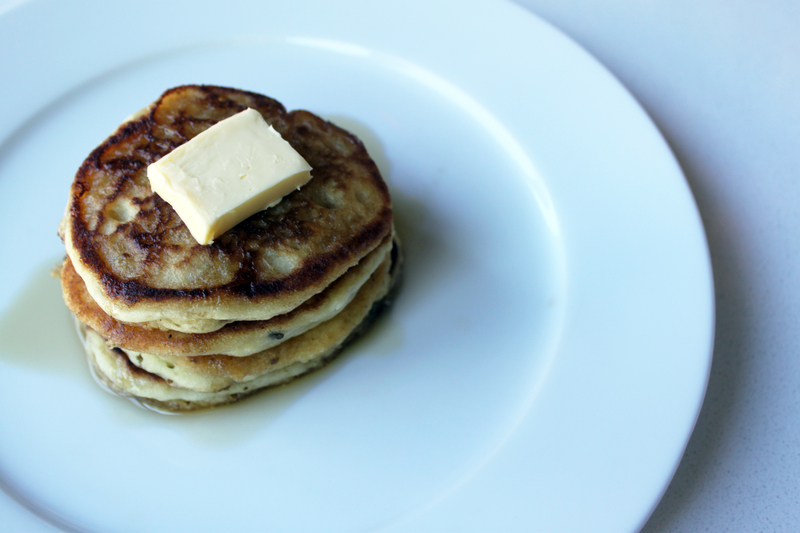 I never really liked pancakes growing up – they always made me feel blah when I ate them. Same with milk. I wonder why? Hmmmm maybe because they were full of things I’m intolerant too! A few months after cutting gluten out of my diet I found gluten free Bisquick and made some pancakes. They were delicious, but the store bought mix was expensive and kind of grainy! 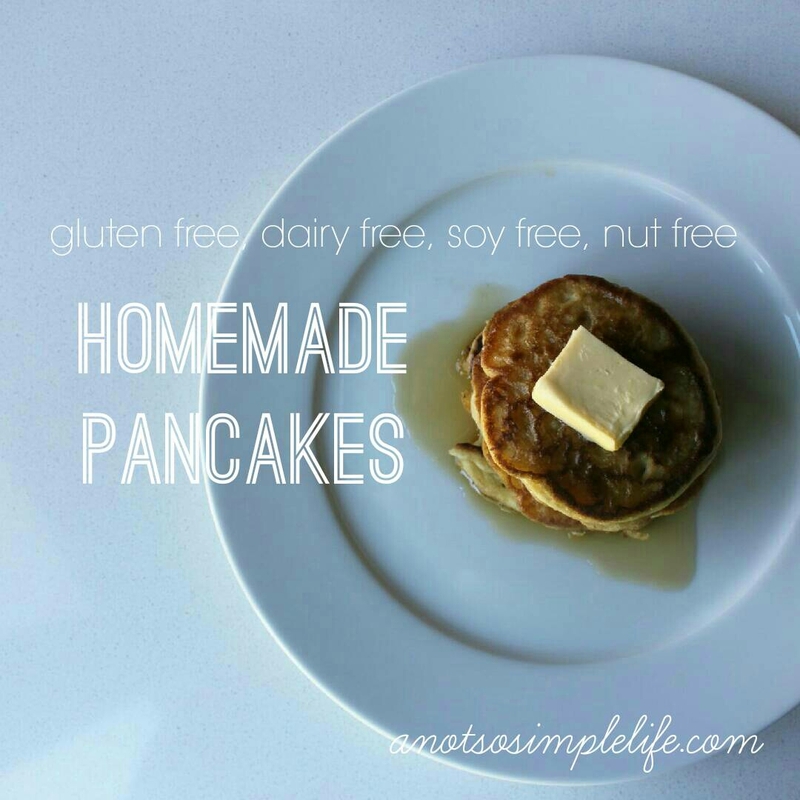 It couldn’t be too hard to mix up a pancake mix of my own – here are the results – my Gluten Free, Soy Free, Dairy Free, Nut Free pancake recipe! I make this mix up in HUGE batches and store it in the pantry for use later. This is also night shade free unlike the store bought stuff ( my husband tries to stay away from night shades) and could be made corn free – I’ll try and post the corn free version at some point. 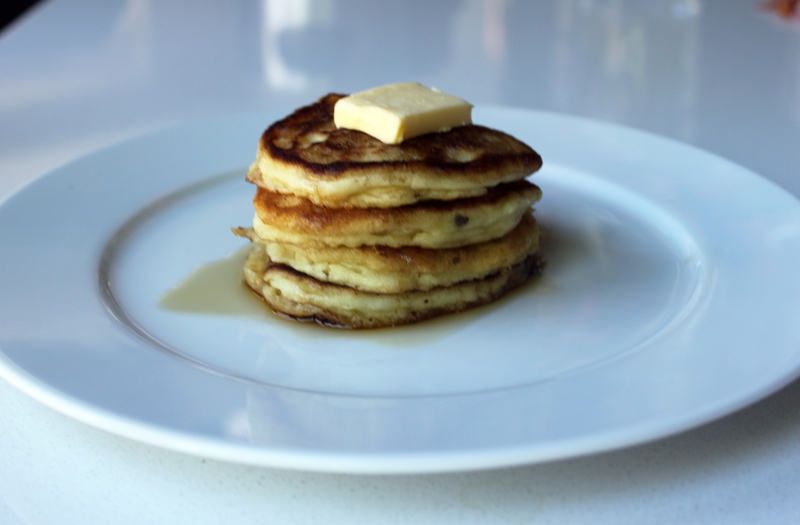 Update: It’s now August of 2015 – over 2 years since I first came up with this recipe and I have to say that after years of making these pancakes – I still love them! We haven’t bought gf Bisquick for years because this is so good but, we went on vacation a few weeks ago and didn’t have access to all of the ingredients I needed to make my mix so we had to gf Bisquick to make pancakes and I now know that this version is WAY better. Also, about two years ago I had a little one who is now a crazy toddler. These pancakes have been a LIFESAVER when we have an early morning planned and are trying to get out of the house quickly. Typically, I make two batches and freeze any extras in packages of 2 or 3, then I pop them in the toaster a few times to heat them up (you could use a microwave too but I try not to). Also, do you have a double burner griddle pan? If so, it’ll make your multiple batch pancake making way less time consuming (I can do a whole batch on one). 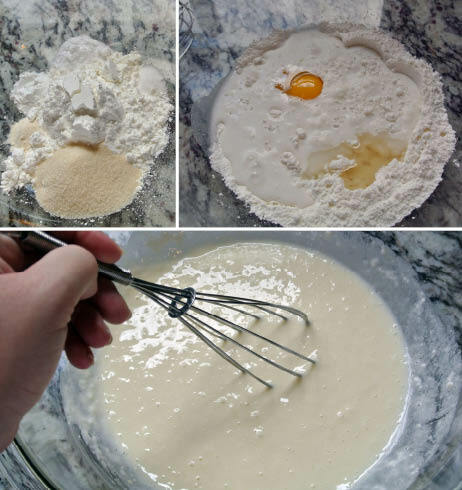 Dump the pancake mix into a medium sized mixing bowl. Add milk, egg, and oil. Stir until combined. Sometimes I let it sit for a few minutes because it tends to thicken up just a little. Heat your skillet to medium heat and coat with butter or, if dairy free, your substitute. Spoon about 2 tbsp of batter onto the skillet (we like small pancakes in our house but you could make big ones too). 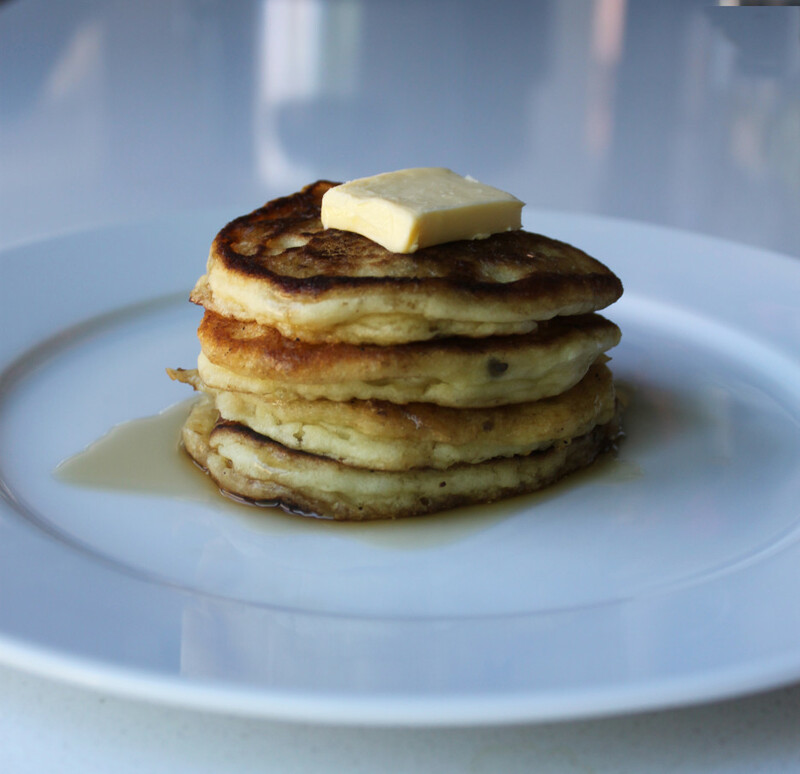 Pancakes are ready to be flipped when you see the top bubbling.